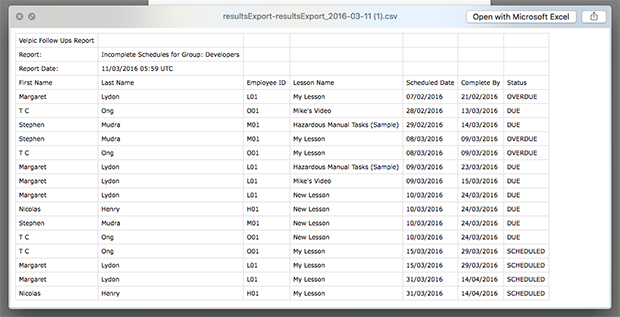 There are two reports currently available to Administrators; Completed Lesson, and Group Followup. The completed report shows detailed information about completed data over a 30 day period. An example of this report is given below. The group follow-up report shows detailed schedule information about a specific group and the status of all members of that group. An example of this report is given below.